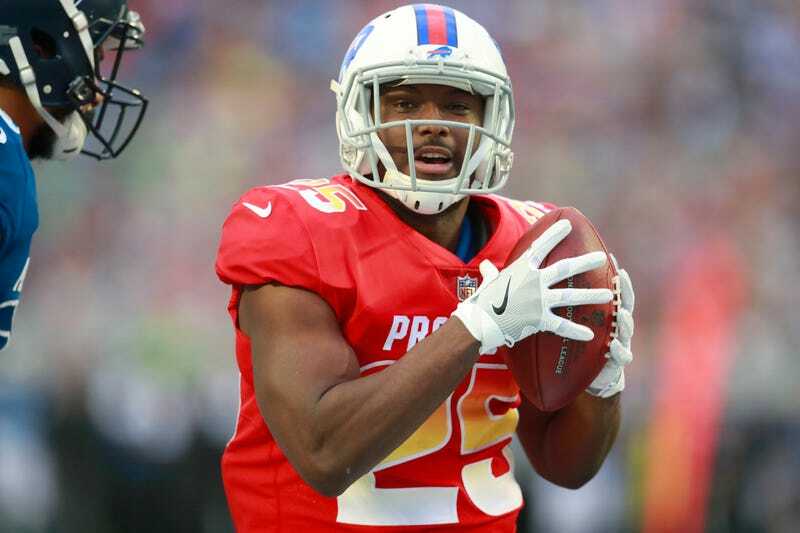 This morning, a friend of a woman named Delicia Cordon, who has previously been known to be Bills running back LeSean McCoy’s girlfriend, accused McCoy of beating Cordon. The accusation was made on the woman’s Instagram account, where she posted a graphic photo of what she claims to be Cordon’s battered face. Warning: the following image is graphic. Update (3:18 p.m.): The post has since been deleted, and Cordon has set her own Instagram account to private. The woman who posted the photo also accused McCoy of previously attempting to beat his son and of beating his dog. The woman, who appears to currently be in London with Cordon, claims that the picture of Cordon on the left was taken yesterday, and the one on the right was taken this morning.